This smoothie tastes terrific, is guilt-free and will make you happy! Cherries are tiny nutritional powerhouses, serving up antioxidants such as Vitamin E, C, and anthocyanins, which help prevent inflammation and DNA damage. 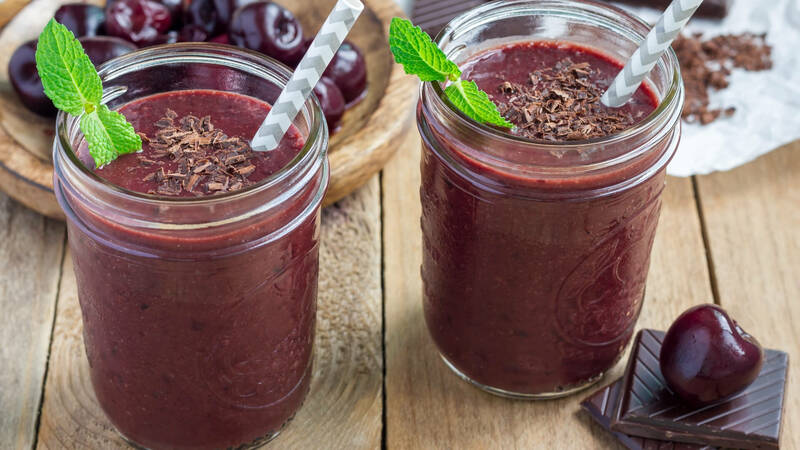 Cherries also boost melatonin levels, so this smoothie may help improve your sleep.